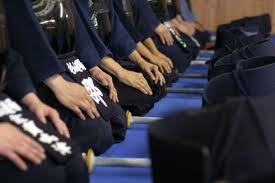 I enjoy teaching at kendo seminars. They offer the opportunity to try to make to make a difference to the kendo of a group of people from various dojo in a short period of time. As I mentioned in last week’s post, this was the weekend of the annual Watchet seminar and the theme was “making opportunities to attack”. Obviously this is a broad subject and encompasses the whole gamut of shikake and oji waza. I was privileged to work with the senior group and I and Terry Holt sensei ran through numerous drills, making the connection to how these techniques fit into the sansatsuho. As there is a grading examination on the second afternoon, the seminar lasts for a day and a half and includes kata practice and keiko as well as warm-ups and basic kihon. The second morning is mostly a reprise of the first day with a chance to work on any problem areas. The timetable allowed us an hour to run through the whole range of men, dou and kote techniques, trying seme waza, osae and harai waza and then progressing through debana , suriage, kaeshi, uchiotoshi and nuki techniques. Although we had spent a more leisurely three hours on these on Saturday, the review session felt like it was happening in fast forward and the students did a great job to keep up with the pace. Some waza were new to some people and old favourites for others. In some cases different instructors bring a slightly different approach to techniques that you already know and that sometimes is the catalyst that turns a never used technique into a favourite. In most cases the biggest improvements happen when you take the seed of technique back to your own dojo and work on it. 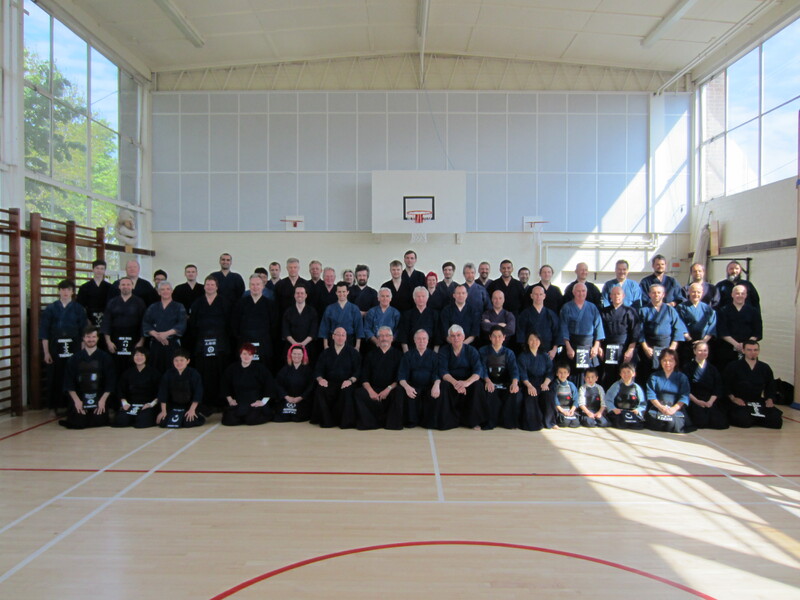 Although kendo associations try to combine seminars and grading examinations for convenience, a seminar held three months ahead of an examination would probably show the best results. The one thing that I am sure was obvious to most people is that in kendo, as in the rest of life, you have to “make it happen”. Shikake waza does not work unless you break your opponents centre and oji waza is effective only if you control your opponents timing and pull him into your counter attack. 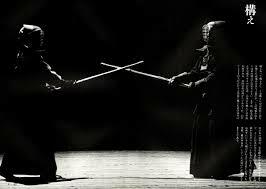 I am delighted to say that everyone bought whole-heartedly into this concept and the quality of kendo in the keiko sessions and the examination lifted accordingly. After many years of ignoring harai waza, I am slowly warming towards harai-gote. I have never found harai techniques to be particularly effective. My main experience with both harai men and harai-gote has been to practise them in drill form; and no matter how helpful motodachi tries to be, he knows what is going to happen. 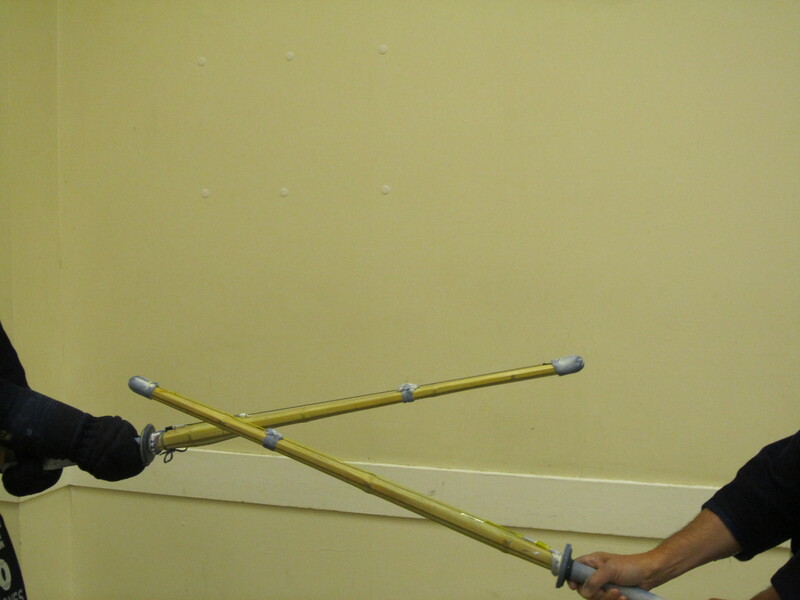 Typically he responds with a soft grip that allows his shinai to return quickly to the centre. Even when I have been successful in this situation, I have felt that it was more the result of motodachi’s kindness than the effectiveness of the harai strike. I faithfully tried to hit the shinai upwards if he has a high kamae or downwards if the kamae is low, but neither of these has given me the breakthrough to make me a dedicated harai convert. 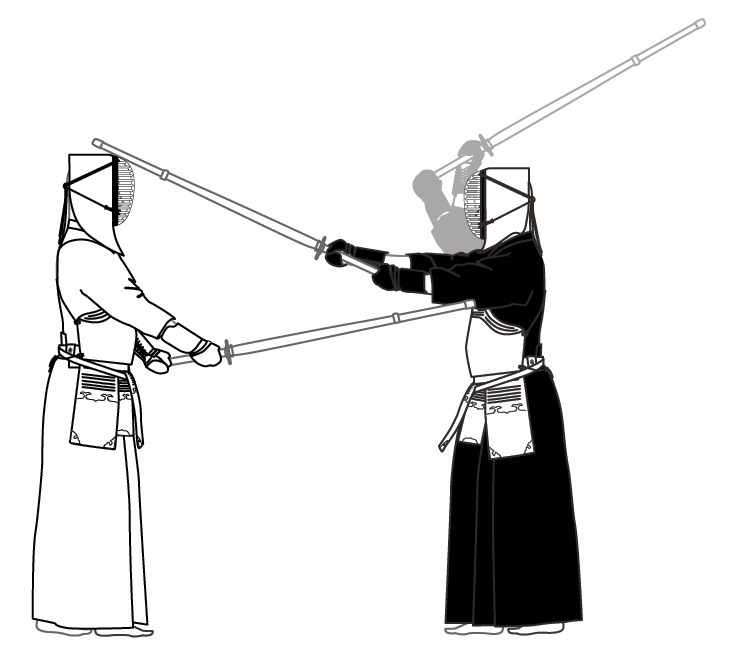 Conventional kendo wisdom tells us that harai is likely to be more effective if your opponent is moving forward. This is true, but I still find the outcome to be hit or miss and prefer to try for debana men. The one opportunity that does seem to work for me is to attack harai-gote as my partner is retreating, either because I am making a strong forward seme, or because I have just failed in another forward attack. Under the circumstances, he is often on his back foot and does not have complete control of the shinai. In this situation, harai-gote is easier to apply than men, as even though I am already in close distance, I am able to strike the shinai at the tsuba end of the jinbu, which has maximum effect in moving the point from centre. Also harai to the ura (kote side) of the shinai has more effect as you are knocking the shinai out of the grip of your opponents right hand; (you are hitting in the direction of his open fingers from the back of his hand). 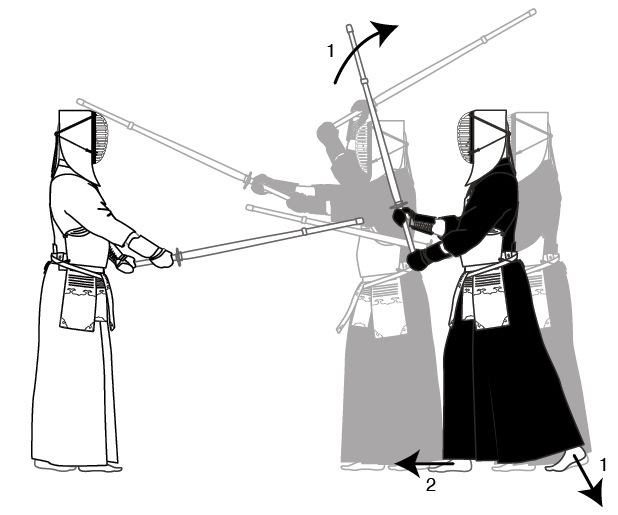 With a harai strike to omote for men, you are pushing the shinai further into his right hand.